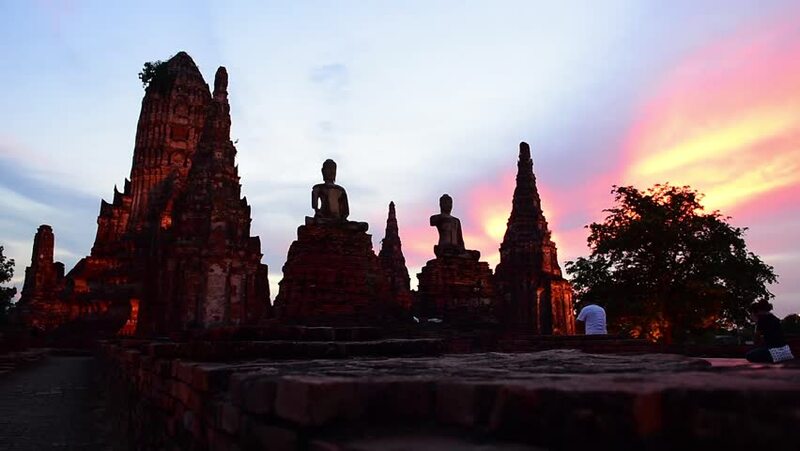 Old Temple wat Chaiwatthanaram of Ayutthaya Province with sunset. hd00:14 Buddha in Ayutthaya historical park, Thailand.With Twilight sunset. hd00:17Old Temple wat Chaiwatthanaram of Ayutthaya Province with sunset. 4k00:23Bagan, Myanmar temple with baloon on the sky in sunrise.